The root beer float flavor turned out to be really yummy and a great addition to the Dessert Delights line up. 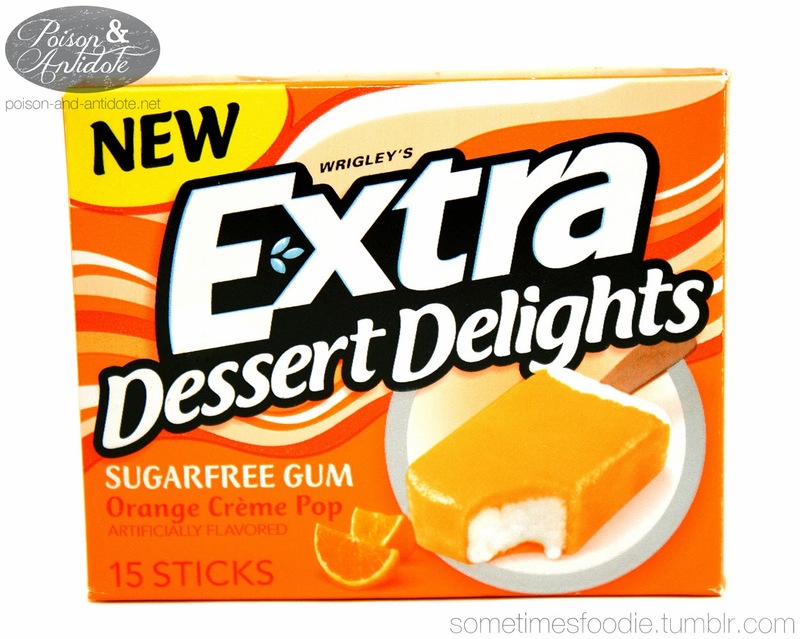 Would orange creme pop be the same? 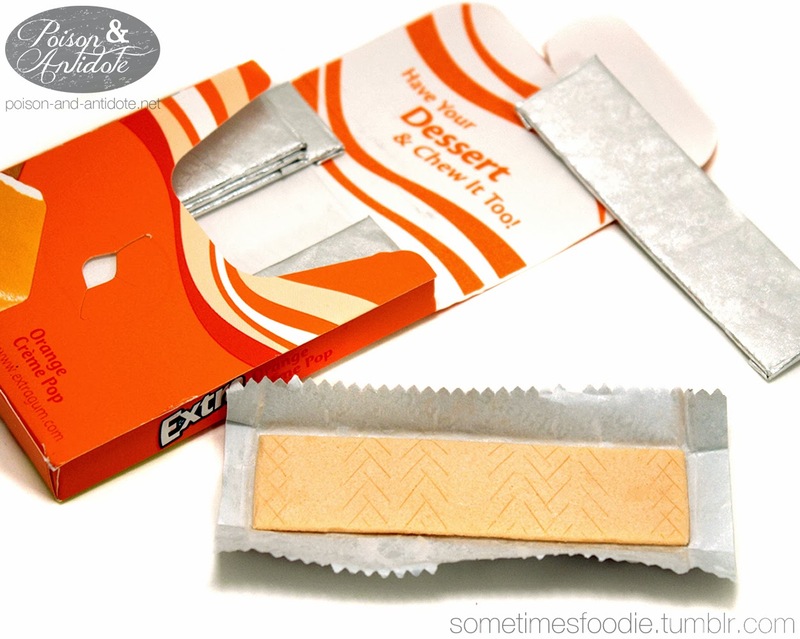 When I started to chew the gum, first it tasted like a yummy popsicle, but quickly the gum-texture stiffened up and the flavor became more like a medicinal orange. Maybe I got a bum pack because the gum stiffened up really quickly! After only 2 or 3 minutes it became difficult to chew and I just spat it out. It seems like this flavor is a dud, I really don’t like the overall taste of it and the chew tends to hurt my jaw after a few minutes. Maybe something is wrong with the formula, but I really hated this gum. I don’t know what I am going to do with the rest of it I have in the package.